Sally teaches singing to people who have never uttered a tuneful sound as readily as to professional opera singers. She has discovered that singing is always an instinctive expression and a primal release. Whatever your standard the principles don’t change. Sally believes that there is no voice that cannot be improved. Singing classes will run from Monday morning to Friday evening and participants are invited to arrive on Saturday evening so that they can enjoy a day to settle in on Sunday. As it was such a success the last time we will again be chartering a rigid inflatable boat for a trip to the seal islands on the Wednesday afternoon, weather permitting. The Friday evening will be devoted to a concert and participants are encouraged to perform. Pianist Tim Roe will be on hand to accompany classes and concert, rehearse songs and provide music coaching by arrangement. Sally will again be working one to one and in classes and small groups to help singers make the most of their voices. Sally Bradshaw is a professional singer who has achieved a considerable reputation in classical singing. 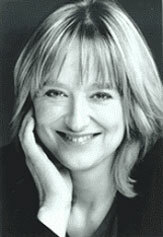 Her recording of Handel’s “Agrippina”, a world premiere for Harmonia Mundi, was Sunday Times Record of the Year. Sally’s versatility is shown in the cross-over work she has done with many world famous rock stars. She duets with Sting on the sound track of Ace Ventura Pet Detective 2, is the soprano voice on Mike Oldfield’s “Tubular Bells 2” and the latest “Art of Noise” album is based on her singing of Debussy songs. In the summer 2004 she released an album of Ancient Greek songs for EMI timed for the Athens Olympics. This is Sally's ninth course at Shanti Griha. Sally is experienced in helping singers at every level. She teaches regularly at Cambridge University, has taught for the University of Malta, in Florence, on Skyros, for Champneys and at Santa Barbara, California. Sally writes in the media about singing (The Independent, The Singer Magazine).